At some point, most of us have written a bucket list...a wish-list of items we want to accomplish before the "kick the bucket" and make the celestial transfer, as my dad likes to call it. This is fun for someone like me, who is motivated by goals and dreams. But, there is an inherent danger to bucket lists. One could lose sight of what has already been accomplished while on the chase for bucket list adventures. What about a reverse bucket list? Instead of brainstorming all of the things you want to accomplish, sit and think about all of the things you have accomplished. By doing a reverse bucket list, you can take pride in the life you have lived already. You can reflect on your opportunities with a spirit of gratitude. You may inspire others to pursue similar dreams, and as a result, you may become a mentor because you have accomplished these things. In recognizing what we have accomplished, we can acknowledge the drive and the passion and the skills we already have to continue on that path...to set bigger goals...to chase bigger dreams. What's on your reverse bucket list? What makes you proud? Please share and inspire us all. Good idea! Some of mine: I've bought a play pack for a season at the theater, taken graphic design courses, eaten at 12 new restaurants a year, hosted all the major holidays at my house, did a Polar Bear Plunge in the Atlantic Ocean in 2012, swam with dolphins, worked on a political campaign, walked around Walden Pond, walked across the Ben Franklin Bridge, spent two straight weeks at the beach, seen the Golden Gate Bridge, made pasta from scratch, touched a Redwood tree, bought a house, and seen the sun rise on the east coast and set on the west coast in the same day. You have some amazing accomplishments, Steph...many things I want to do as well. :-) I'm inspired. Isn't Walden Pond grand? I have done the walk in the fall...spectacular. I love this! What a great idea. I focus far too often on what I want to accomplish that I forget to stop and appreciate what I have already done. Thanks for reminding me to keep perspective! Thank you! I hope you enjoy making your list. 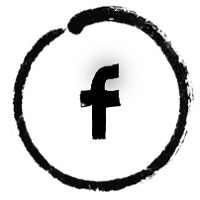 :-) Please share and send me a link. Thank you, Debbie! I hope you enjoy making your list. :-) Please share and send me a link. I love the idea of a Reverse Bucket List. 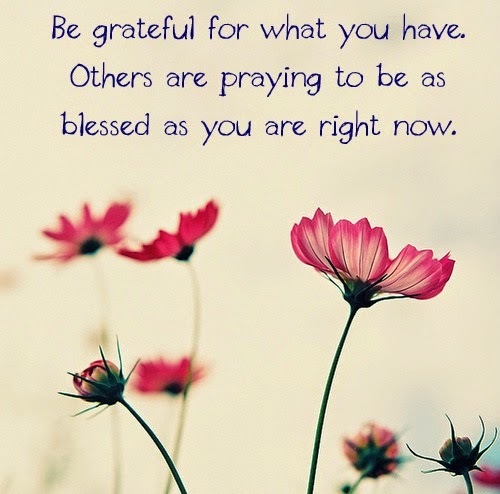 It's important to be grateful. It's important to reflect. It's important to be content with where we are! Jump out of a plane would never be on my list, but you go girl!! That is something to be proud of. I have done 7 triathlons. After getting injured one too many times I stopped, but it will always be a fond time in my life. Thanks, Kerry. I am in awe of triathletes like you (and once a triathlete, always a triathlete). You're endurance is amazing! Thank you, Rachel! I hope you enjoy making your list. :-) Please share and send me a link. 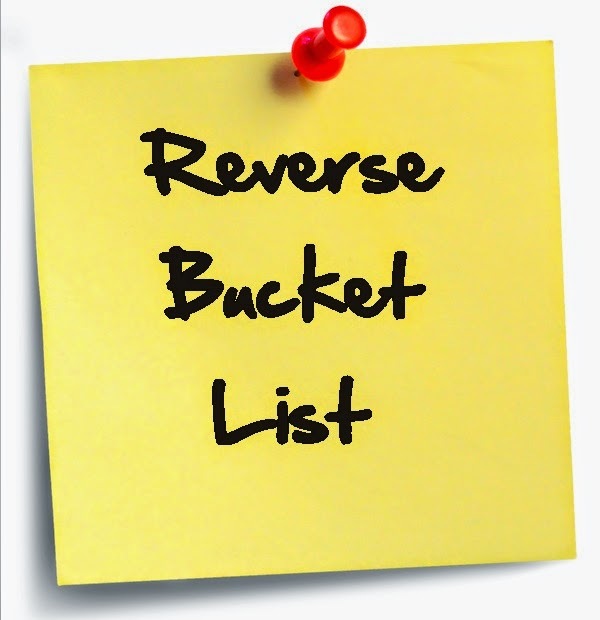 I love the idea of a reverse bucket list! It's so easy to regret not doing things, but we quickly gloss over the awesome things we've already done. Thank you, Rachel! It really shapes the lens from which you view your life. I hope you make a list of your own. :-) Please share and send me a link. Thank you, Bailey! Becoming debt free is HUGE and you should be proud. I was when I paid off my student loan...what a relief! Congratulations to you! Thank you, Perle! It really does shape the lens from which you view your life. I love the idea of integrating it into a vision board :-) Great idea! I have made a bucket list. You're right it's always nice to recognize and be grateful for things you did accomplish. Thank you for being so inspiring. Thank you, Farin! It really shapes the lens from which you view your life. I hope you make a list of your own. :-) Please share and send me a link. Serendipity! 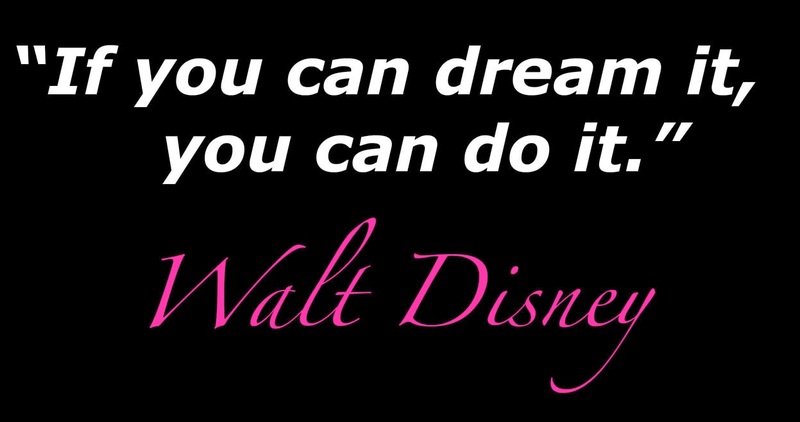 This is the 2nd time I see this quote from Walt Disney!!! Perhaps I should start dreaming more! And I love the idea of reverse bucket list! It's nice to recognize something that is already there (and be grateful for it). Gratitude really shapes the lens from which you view your life. I hope you make a list of your own. :-) Please share and send me a link. What a great idea! I sometimes feel bad reading all the travel blogs because we're not traveling a lot this year, but I have lived abroad for a year and been to a bunch of countries, so just cause I'm not doing it this instant doesn't mean I less of a traveler or anything! I really like this idea! It really puts into perspective how awesome your life already is!